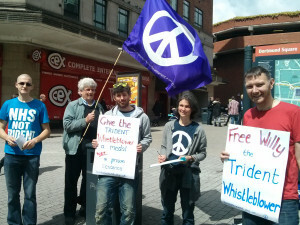 Come join us for CND conference in Bristol this October! Our annual conference, Towards a nuclear-free future: building change from the grass roots, is coming up on Saturday and Sunday October 20-21 at the historic Wills Memorial Building at the University of Bristol.At a time of increasing global threats and amid an unstable political situation, conference is the chance to decide our direction for the next year and discuss how we respond to the challenges ahead. 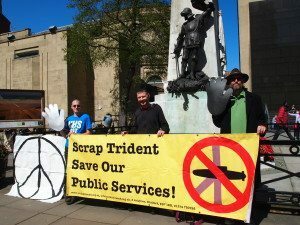 Open to all, Sunday’s conference, introduced by South West MEP Molly Scott Cato, will include workshops and debates on today’s vital issues – including grass roots campaigning, defence diversification, nuclear power and non-violent direct action. We’ll also look at the legacy of the first world war in this centenary year, with Bristol’s Remembering the Real WWI group, and you’ll have a chance to take a “Protest and Resistance” walking tour of Bristol. We’re keen to see as many of you there as possible, so please come along and join the discussion and debate. If you’d like, you can register for free online, or just turn up on the day. 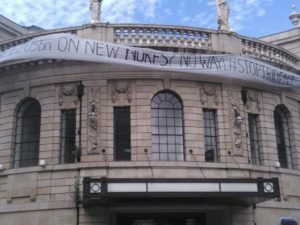 If you have any questions about conference please get in touch with the CND office at enquiries@cnduk.org or by phone on 020 7700 2393.